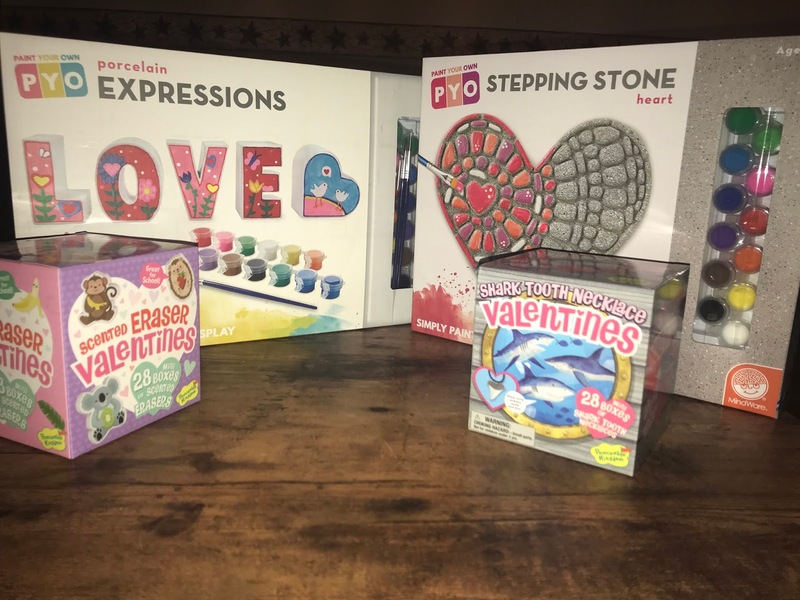 Valentine's Day is right around the corner, and I wanted to bring you some fun gift ideas for the kids and classmates from Mindware. Mindware is a company that creates fun eductional toys for kids of all ages. Their product line includes educational toys, games, brainteasers, creative play activities, building sets, coloring books and more. Over the years, their toys and games have won many prestigious awards from Mensa Select, Good Housekeeping, Parents' Choice and the Spiel des Jahres in Germany which is a huge honor. Mindware was started in 1990 right here in the US, in Minnesota. Their items are available online as well as neighborhood toy stores, big box stores and craft stores. I was sent a few items to add to my Valentine Gift Guide this year and wanted to tell you a bit about each of them. All of the items I will be telling you about can be seen in the video below, and are also listed in my Valentine Gift Guide list as well. The first two items I received are fun gifts to give. They are creative and perfect for displaying. They are both part of the Paint Your Own line at Mindware. These items come boxed with everything your child needs to create their own masterful work of art. There are many different Paint Your Own products available on the Mindware website, but I am going to show you two of them. The first item is the Paint Your Own Expressions: LOVE. This item comes with the letters to spell LOVE, paint and a brush and can be painted any way your child chooses. This would look so pretty displayed on a shelf or in your child's room and it expresses a deep emotion and really has a lot of meaning to it. I personally think it is a thoughtful, caring gift idea. The second item is Paint Your Own Stepping Stone: Heart. This gift comes with a large heart shaped stepping stone, paint and brush. It is perfect for your child to design and place in your family garden or along your front yard to welcome guests. It also makes a pretty piece of art for inside the home as well. Starting around February 1st, The Review Wire and I are going to be having a Valentine's day hop featuring great gifts. In that giveaway we are going to have your choice of Paint Your Own set from Mindware, so be sure to check back on my website or better yet subscribe so you don't miss that and all of the other great giveaways we have going on. The next two items I want to tell you about are part of the Valentines line over at Mindware. 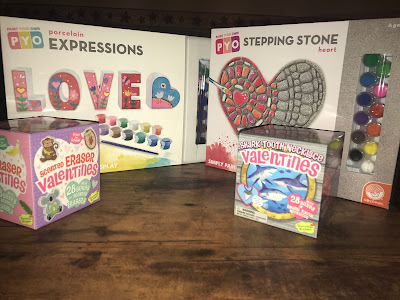 There are many different types of Valentines to choose from, but I am going to tell you about two fun ones for your children to give their classmates or friends. The first set of Valentines are a boxed set of 28 Scented Valentine Erasers. Each eraser comes in it's own Valentine box which can be personalized to the recipient. The three scents included are a Koala bear with a Kiwi scent, A Monkey with a Banana scent and a Hedgehog with a Strawberry scent. They are very cute and make a useful gift for students. The second set is a unique set for kids which opens the mind to ocean exploration. They are Shark Tooth Necklace Valentines! Now, these are not made from real shark teeth, but are designed to look like them. Each one is individually boxed so that it can be personalized to each recipient. Check out my video below showing you these fun Valentine Ideas. Disclosure: I received products to review for my honest personal opinion. You opinion may differ.